A complete concealed urinal pack from leading brand RAK Ceramics. 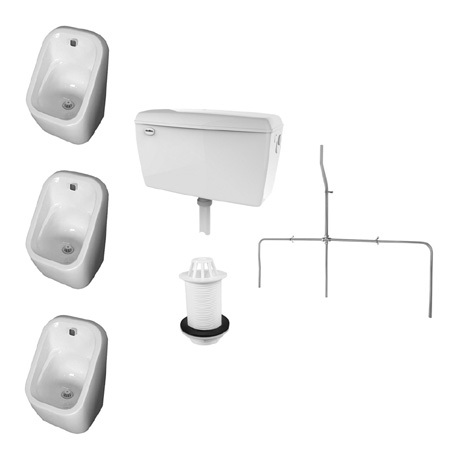 Consisting of three Series 600 urinal bowls and a concealed 13.5 litre high impact polystyrene cistern with all the fittings required. This complete auto flushing urinal pack is the perfect choice for all commercial installations.